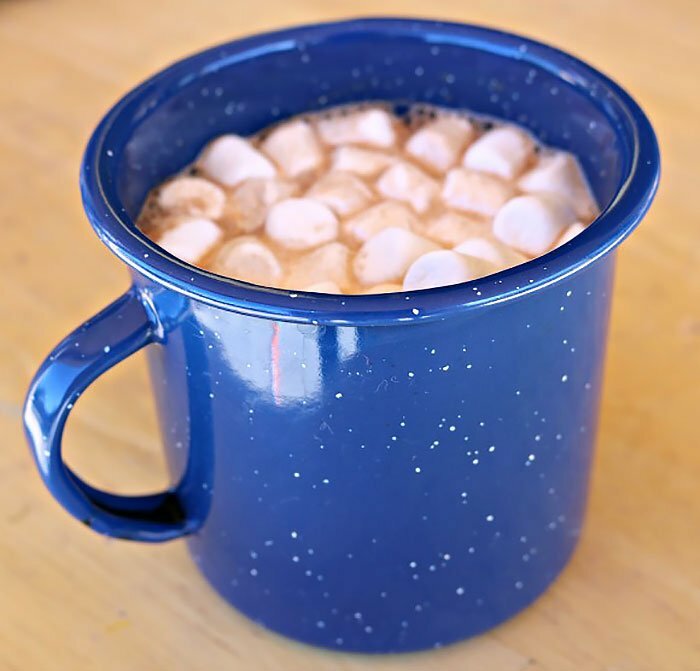 When you’re camping, nothing is more satisfying on a cold evening than a campfire and a mug of hot cocoa. 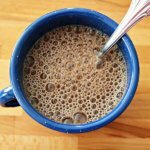 Use our homemade hot cocoa recipe instead of those nasty chemical cocktails from the grocery store. 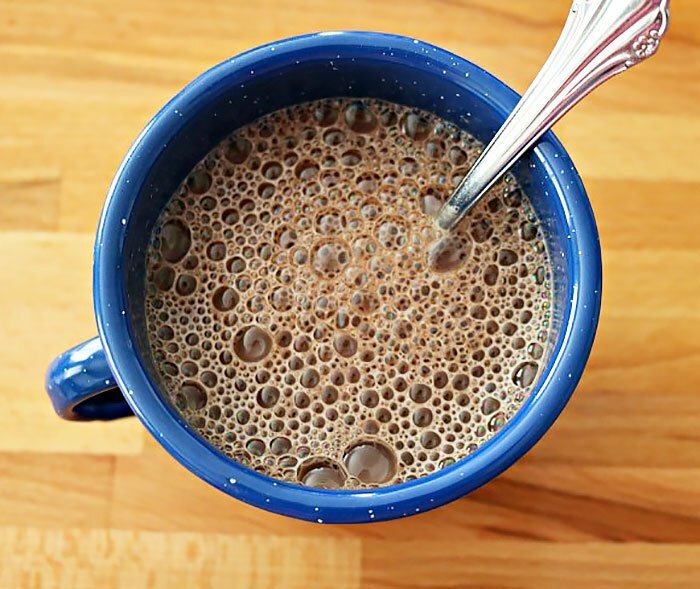 Just because you’re drinking hot cocoa doesn’t mean you have to fill your body with crap that only a chemist could pronounce. Check out this ingredient list from one of the most popular instant hot cocoa brands: Sugar, Corn Syrup Solids, Hydrogenated Vegetable Oil (Coconut and/or Palm Kernel and/or Soybean), Dairy Product Solids, Cocoa Processed with Alkali, Calcium Carbonate, and Less than 2% of Salt, Cellulose Gum, Sodium Caseinate, Dipotassium Phosphate, Sodium Aluminosilicate, Mono‑ and Diglycerides, Guar Gum, Nonfat Milk, Artificial Flavor, Sucralose. Mmmm… sounds tasty don’t it? You’ll be able to pronounce every ingredient in this instant hot cocoa mix, and it’ll taste better than that junk from the grocery store. Toss everything but the marshmallows in a bowl and whisk it all together. Next, find a good airtight container to store it in. I prefer the screw-top Ziploc Brand containers. The lids wont pop off when its packed and they’re fairly airtight. 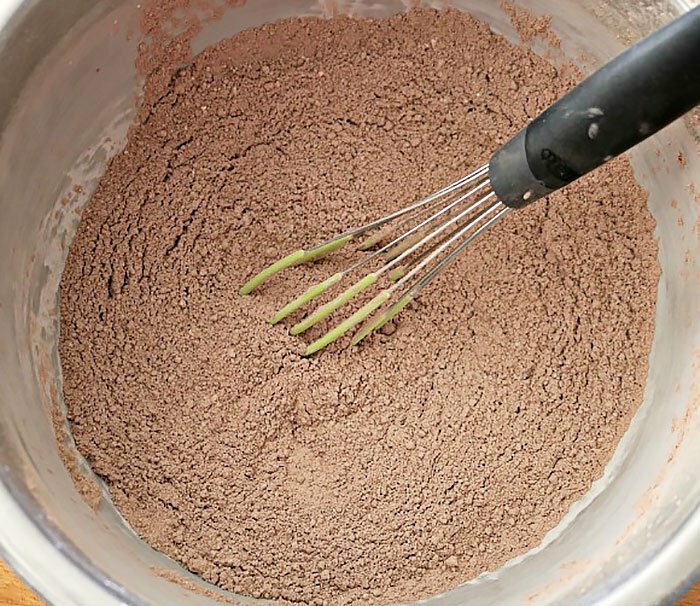 Your hot cocoa mix should keep for about a month in a cool dry place. Fill cup halfway with piping hot water (hope you brought your campfire percolator along). Fill the rest with hot cocoa mix. I’ve found that bringing a thermos along helps quite a bit to mix up the hot cocoa. Unfortunately, the price paid for making homemade hot cocoa is that it doesn’t mix so well (the store bought stuff has weird chemicals that help it mix with water). 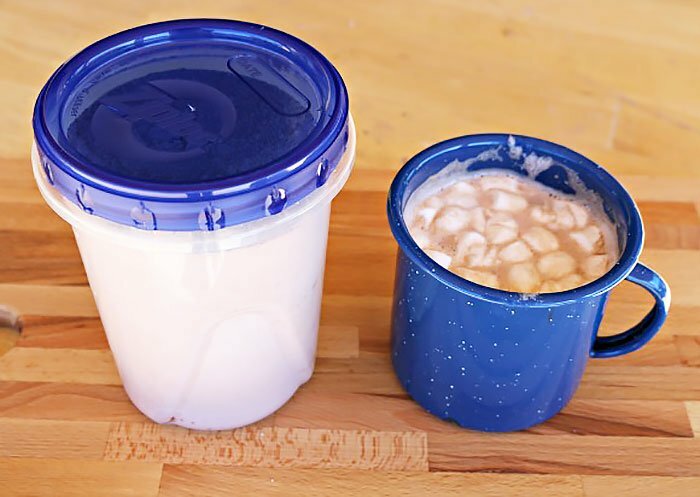 You can mix half hot cocoa mix and half hot water in the thermos, put the lid on and shake it up. 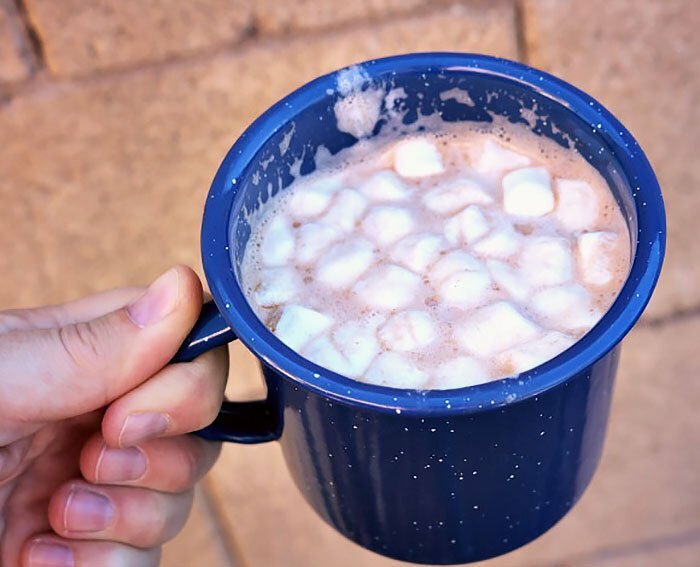 This will keep you from splashing hot cocoa everywhere and stirring forever. Just try not to fill the thermos all the way up. The extra airspace in the thermos will help the ingredients mix while you shake it up (gives it room to splash around). Toss your marshmallows on top, and you’re ready to go. That is, unless you need a little extra kick. 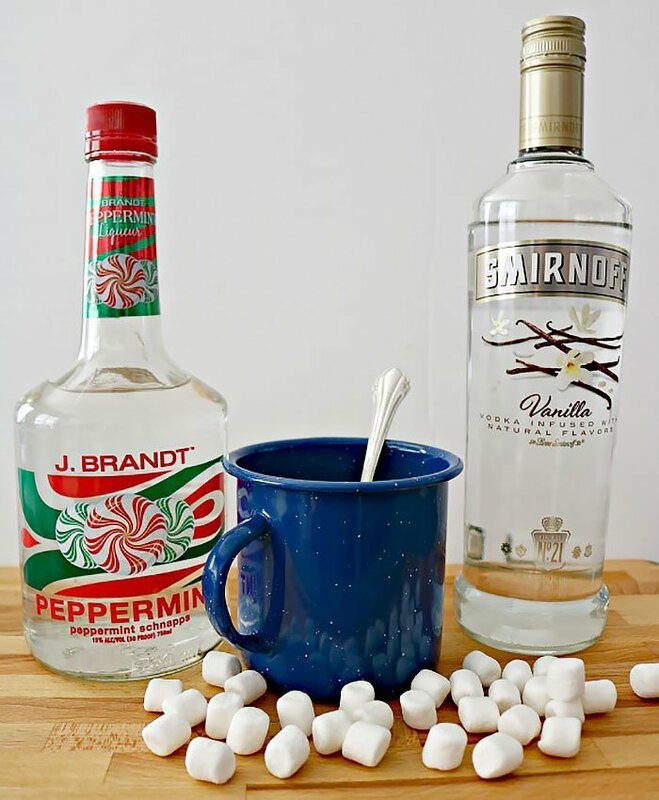 Try mixing in a little peppermint schnapps or vanilla vodka. They go very well with hot cocoa. Whisk everything but the marshmallows together. Mix one-half hot cocoa mix and one-half piping hot water together. Toss your marshmallows on top. I liked your recipe…I add malt powder to mine but I had never added the cayenne pepper…I am anxious to try that. That little bit of bite adds a nice depth to it.